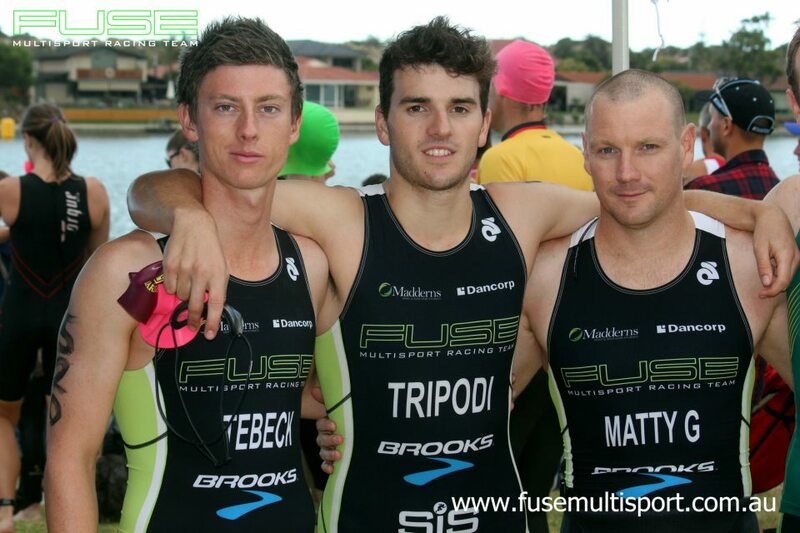 Adelaide, 2 February 2013: Athletes from Adelaide based triathlon team Fuse Multisport will compete in events in Victoria, South Australia, Tasmania and Queensland in the space of 6-weeks. The team, which includes Sam Tebeck and SASI Talented Athlete Award winner Ben Tripodi, will kick off the busy 6-week period at the Geelong Multisport Festival and the South Australian Olympic Distance Championships this weekend, before competing at the 2013 Australian Olympic Distance Championships in Devonport, Tasmania, 2-weeks later. 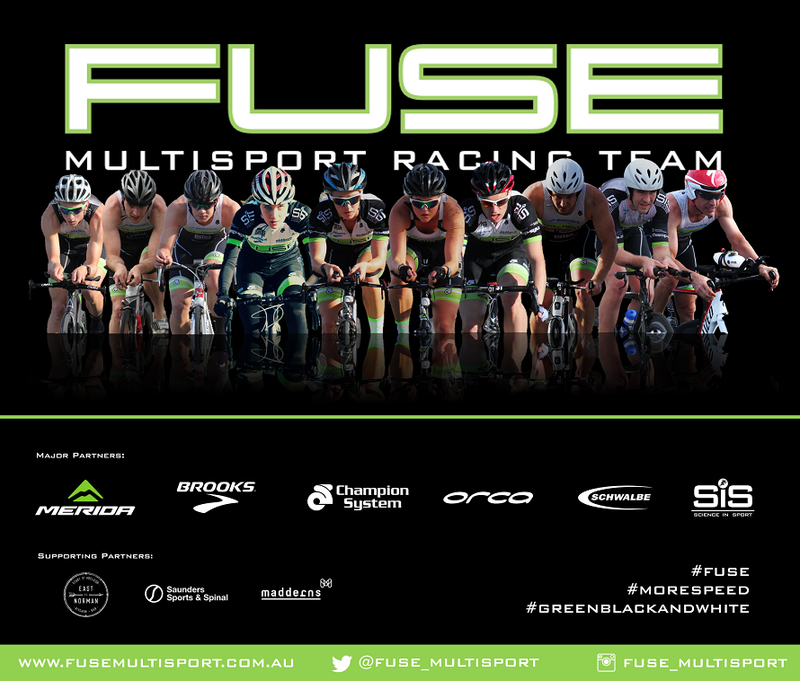 Fuse Multisport’s coach, Stephen O’Brien, said that the team had trained strongly since resuming training in November following the 2012 Olympic Distance World Championships. “All of the guys have been training really well. Training has involved more competitive elements and race simulation type sets. Everyone in the group has responded well to that”, he said. “We spent a lot of time on strength development over the November to January period, more than we did pre-worlds, and we have seen early results of that at the local races. The athletes have higher expectations this year”. O’Brien said that Tebeck and Tripodi’s performances at the recent Australia Day triathlon in South Australia were positive signs, with Tripodi finishing 2nd in the open division in the near 600 strong field, and Tebeck leading the event onto the run leg before incurring a technical penalty. “It’s great to see that Sam and Ben are going quick at this stage, and we should see more improvement over the next 4-weeks as we finish off a block of faster, higher intensity work in the lead up to the Devonport event”, he said. “Having local A-grade cyclist Leo Simmonds, 2012 70.3 (20-24AG) World Champion Holly Ranson, and local open-level triathletes Erin Heard and Tom Currie train with us has been a huge benefit, and has helped create a race-type atmosphere at training. The training sessions are ultra-competitive”, he said. Although based in Adelaide, the team has a national focus with their goal events including national-level Olympic distance triathlons. Tripodi’s schedule includes the South Australian Olympic Distance Championships (Kingston SE), the Australian Olympic Distance Championships (Devonport, Tasmania) and an Olympic distance event at Victor Harbor, South Australia. Tripodi is revelling in the challenge, “the next few weeks are going to be full on. I’m looking forward to having a crack at the State Olympic Distance Championships”, he said. Tebeck will be racing in Geelong, Devonport and Mooloolaba – with Mooloolaba being the focus. “The Geelong event will be used to sharpen the race plan for Devonport and Mooloolaba”, Tebeck said. Matty Galbreath, Robbie Buckley and Erin Heard will also be competing in the South Australian Olympic Distance Championships at Kingston this Sunday.